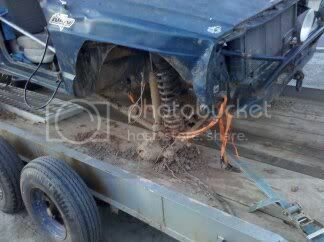 I was tired of fighting mechanical issues and just wasn't happy with the truck. 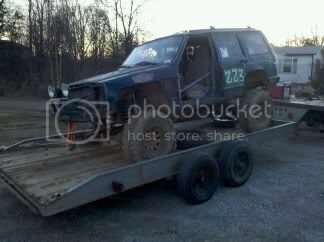 I bought this Jeep and trailer from Braxton this week. 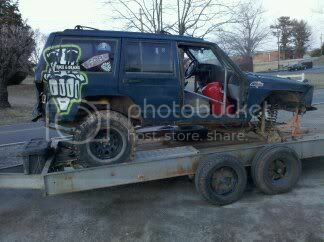 I hope to have the front axle fixed and ready to roll for this weekend at robert's. 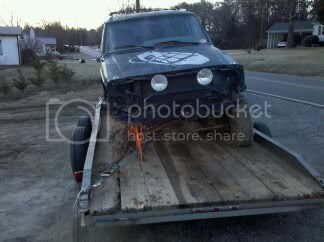 It has a broken front shaft/unit bearing/knuckle. I should have it all fixed by the weekend. I got your message about the toolbox. I will be at Roberts, I'll call you in the next day or so.